Home > US Sports > NBA > Beast of the East. Bulls or Cavs? Last season the Eastern conference was by far the weaker of the two conferences in the NBA. The same could be said this year, but teams are certainly improving. Teams like Toronto, Charlotte, and even Washington have had good off-seasons, but do any of them have a chance to win the East? The simple answer to that question is no. Although all of these teams have great talent they are no match for teams like the Cleveland Cavaliers, or Chicago Bulls. Now the question is, who is the favorite to win the East this season? Allow me to break it down. Last season the Bulls were without former MVP Derrick Rose, who left the season early with a torn meniscus. Chicago’s season wasn’t a complete failure without their star point guard. They managed to go 48-34 which got them into the fourth seed of the playoffs, allow me to note they wouldn’t have made the playoffs if they were a western conference team. The playoffs were cut short when the Washington Wizards knocked them out in the first round. The Bulls failed to sign Carmelo Anthony this off-season, but they did manage to get their second option, Pau Gasol. Gasol averaged 17.4 points,9.7 rebounds, 1.5 blocks, and 3.4 assists per game. Along with his scoring and rebounding ability, Pau will bring championship experience, and leadership to this Bulls team. Going into the off-season the Bulls were also desperate for a player with scoring ability. Although they got that in Pau Gasol, they traded for Doug McDermott, the guard/forward from Creighton. McDermott respectively earned the nickname ‘Doug McBuckets’ by his great ability to score the ball. At Creighton Doug averaged 27.7 points per game, to go along with shooting a little over 50%. The Bulls have made great moves this off-season, but there is a team that has made big moves as well. Where do I start with the Cavaliers? Is it Kyrie Irving‘s contract extension, the homecoming of LeBron James, or the trade that brought Kevin Love to Cleveland. I’ll tell you where I will start, the homecoming of LeBron James. Theres not much I can say about this, the Cavs acquired the best player on the planet. This player also has one goal, to bring a championship to the city of Cleveland. Knowing LeBron James, he will not stop until he accomplishes this goal. And that being said he will do anything to get it done. One the Cavs have done, with help from James, is acquire Kevin Love from the Minnesota Timberwolves. The Cavs traded two years worth of number one picks in Andrew Wiggins, and Anthony Bennett. In the end I’d say the Cavs are happy with their off-season so far. Looking at these teams it will definitely be a tight race in the Eastern conference this season, but there are a couple of things that factor in that will make one team stand out. Team chemistry could be a big issue for the Cavs considering two of their big three are used to carrying most of the work load. Kyrie Irving and Kevin Love have had nobody throughout their career they had to share the spotlight with. Now they have 2 other all-stars next to them. This can certainly become a problem in the long run. Now for the Bulls, Pau Gasol had to play off Kobe Bryant with the Lakers. Transitioning to the Bulls shouldn’t be too big of a problem.Joakim Noah, and Pau Gasol are both non-selfish players who do what it takes to win. 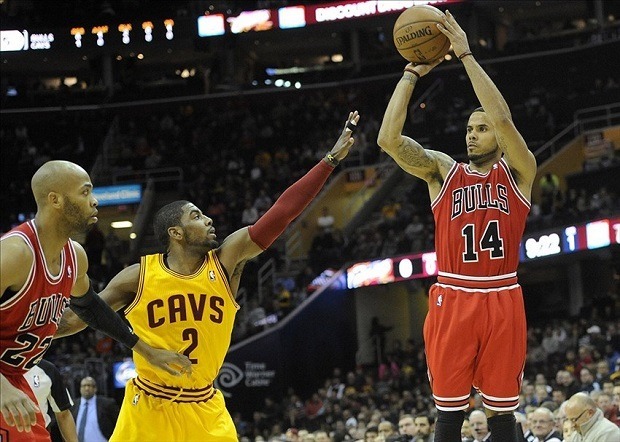 They both have a great ability to pass the ball, Plus Gasol, and most of the Bulls know what the playoffs feel like. Unlike the Cavs where most of their players have never played in playoff basketball. Coaching will also play a big role in this eastern conference battle. The Cavs have a rookie coach in David Blatt. Although he has a winning past in other leagues he has yet proven what he can do on the biggest stage of them all (The NBA…). On the other hand the Bulls have a top 5 coach in the league. Tom Thibodeau is known to push his guys to play great defense, along with great offense. The time has come. After looking at off-season acquisitions, and the teams as a whole it is time to predict who will come out victorious in the Eastern conference. 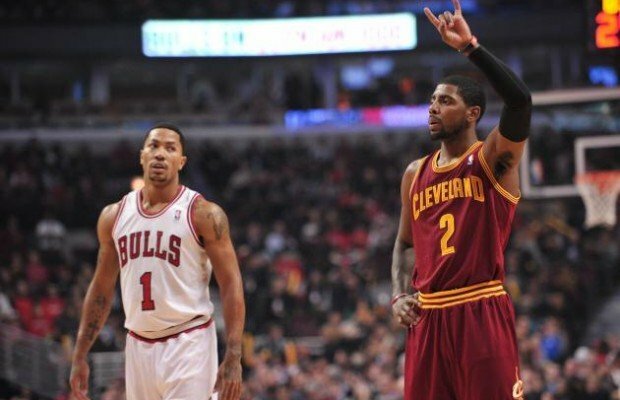 It’s hard to say this as a Cleveland fan, but I think the Chicago Bulls will come out on top. There experience is too much for the Cavs. Although the Cavs have a great team, barley anyone on the roster has made it into the playoffs, so that is why I’m saying the Bulls have the best chance to make it out of the East this season. International Premier Tennis League – The Long Awaited Year Ending Extravaganza?